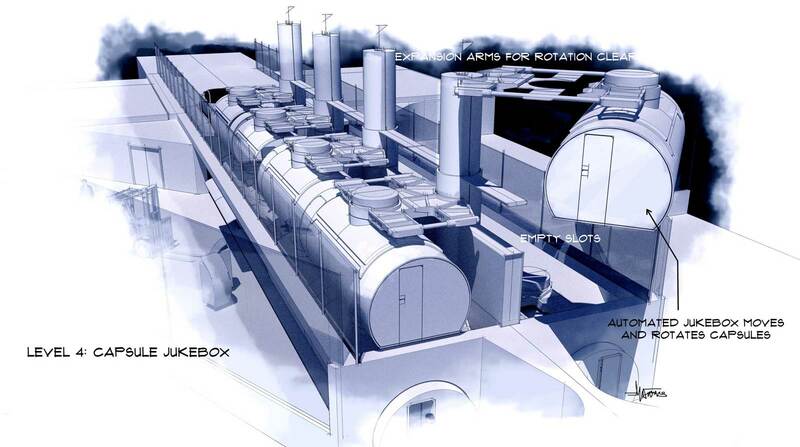 argodesign - work - Hyperloop Concept Design. 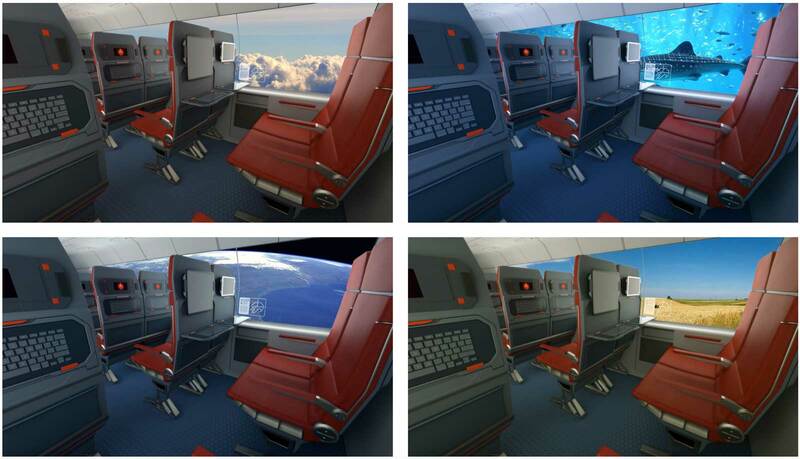 The concept suggests aerodynamic “capsules” containing passengers, vehicles, and other cargo could be pushed through pressurized tube on cushions of air at supersonic speeds. There has been much discussion of the economics and technology behind the Hyperloop, but very little exploration of what it would be like for the average person to ride it. 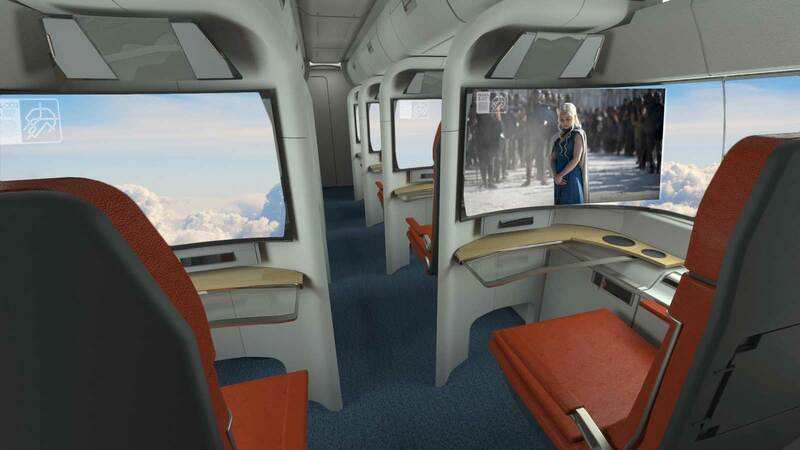 argodesign has developed a series of conceptual renderings to show what the Hyperloop terminals, platforms, capsules, and capsule interiors would look like to a passenger. Our concept is the result of ideation and design sketches by argo designers, and reflects a possible design direction for the Hyperloop. 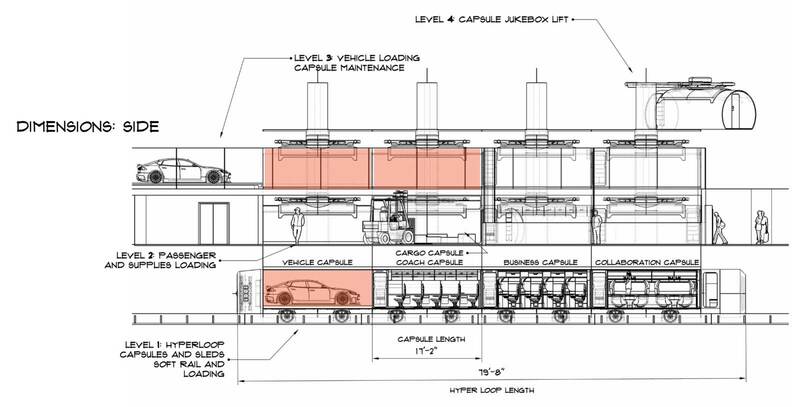 We would focus on the larger capsule design that could transport not only human passengers but vehicles and other cargo. While the theoretical speed limit is over 700 mph, we chose to design for a working version that would travel at a top speed of 300-400 mph. This was based on further exploration of the concept by different engineering groups and the belief that speed bumps, sharp turns, and g-forces may induce motion sickness. Hopefully, slowing the Hyperloop down helps to minimize these effects. 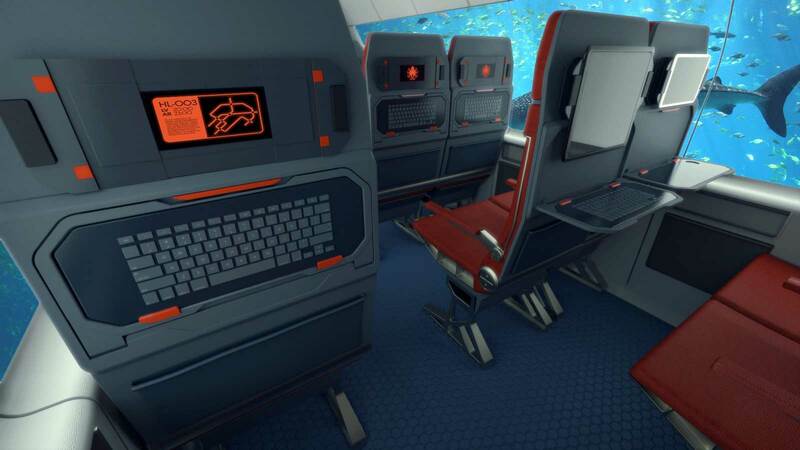 At slower speeds, humans would be traveling for multiple hours, and thus more traditional passenger compartments would be necessary. 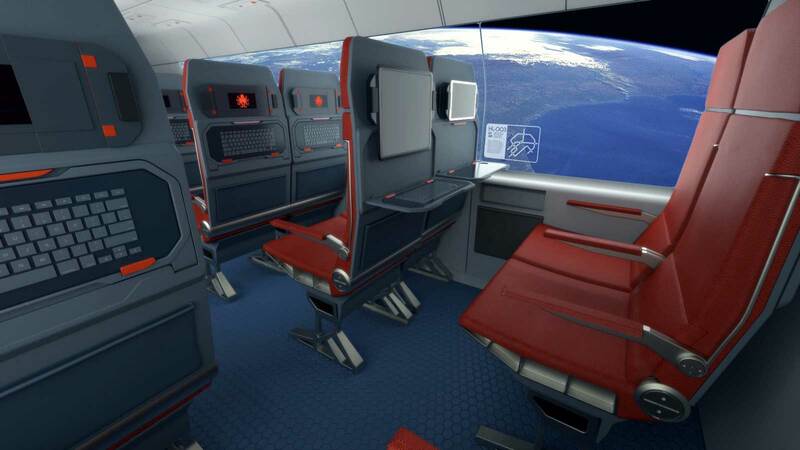 Passengers would need to periodically stand up and move around, and use the bathroom. Depending on the length of the trip, it might be necessary to have an attendant and other on-board passenger services. We would not at this time concern ourselves with the economics of implementation. It is still early in the process and we challenged ourselves to create a realistic yet imaginative design that could serve as a spark for further exploration. Early on, we decided to focus on creating a modularized system. 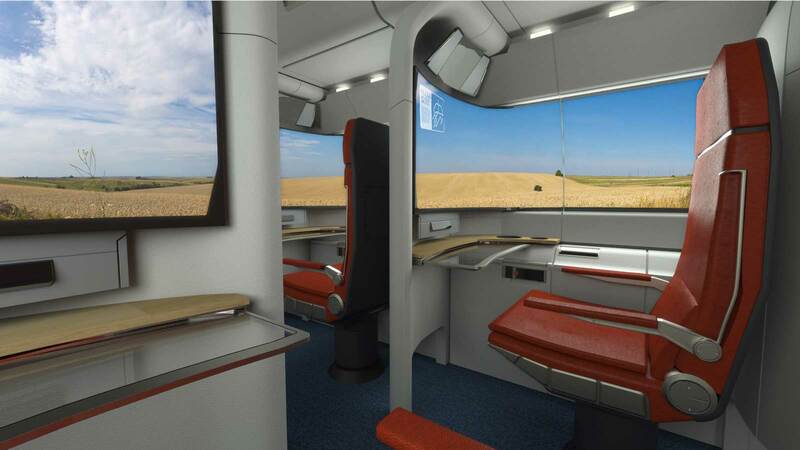 This system would be easily and automatically configured, even up to the last minute, and provide the flexibility needed for various passenger services and cargo types. 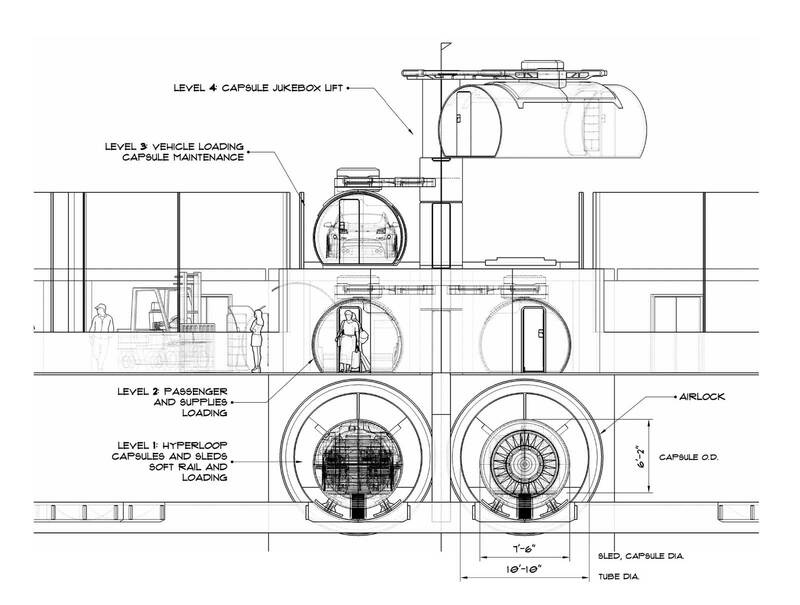 Another key insight was that the relatively narrow capsule interior could be claustrophobic for travelers. Tripscenes could include clouds, pastures, and even outer space and underwater scenes. They could also display route and trip information helpful to passengers. 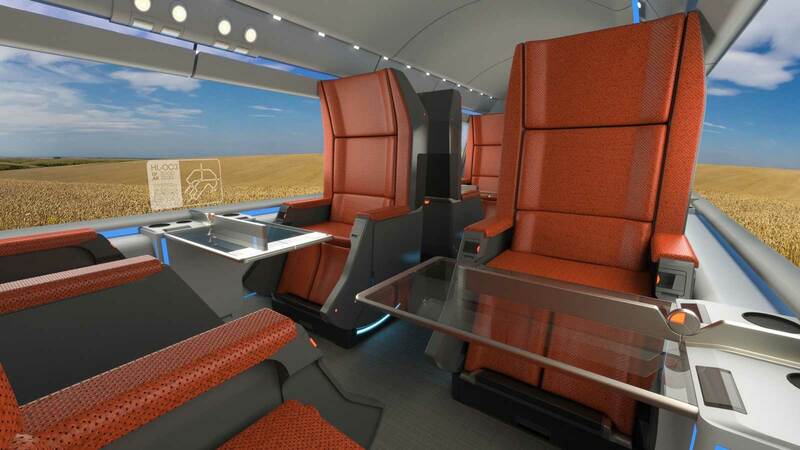 argo’s Hyperloop design is not a fully engineered solution, but rather an exploration of what it might be like to visit a Hyperloop terminal and travel inside one. The design is an exercise for our team to contribute to the Hyperloop project, and we hope it stimulates discussion and thought on future design directions.